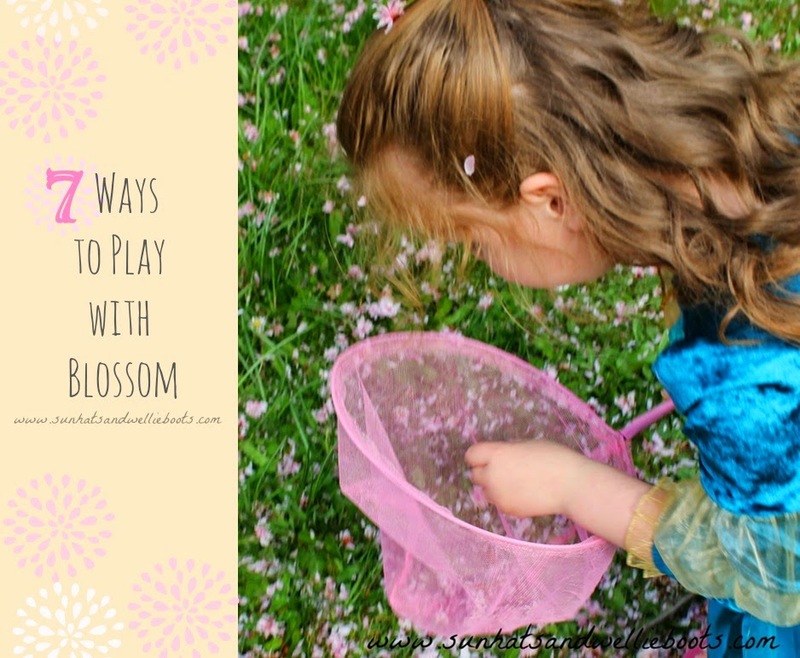 These simple invitations to play can be explored on any Spring day, whether sunny, windy, or wet, all you need is a beautiful blossom tree. How can you play with a blossom tree? Here are 7 simple ideas to explore. 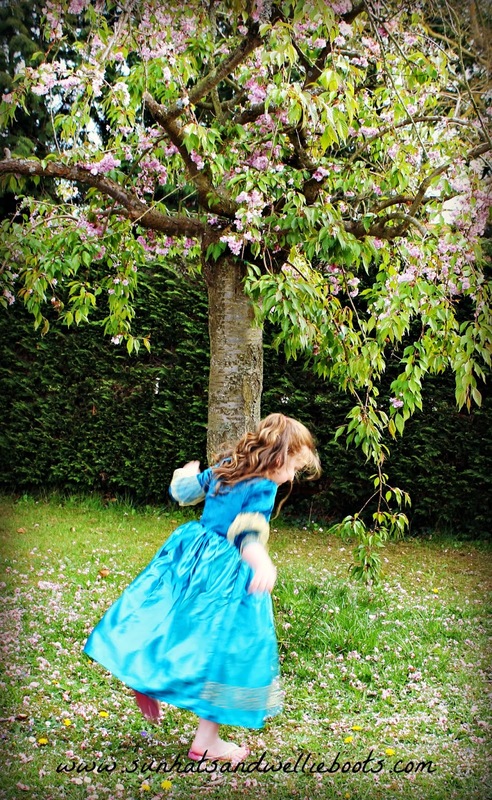 1) Dance under the branches of the tree & decorate your feet/shoes with the fallen blossom on the ground. We found wet petals stick particularly well to little feet! 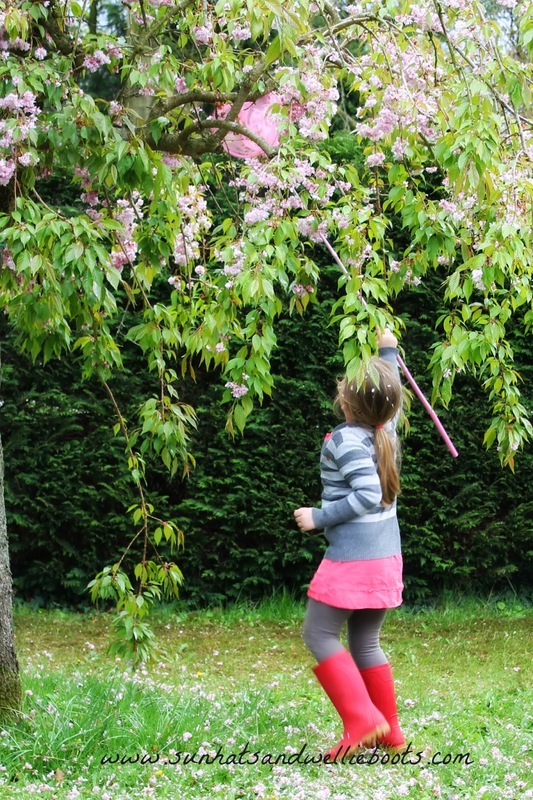 2) Make blossom confetti by shaking a branch! We're talking gentle shaking & tapping of tree branches here. A gentle tap or two will produce a shower of delicate petals. 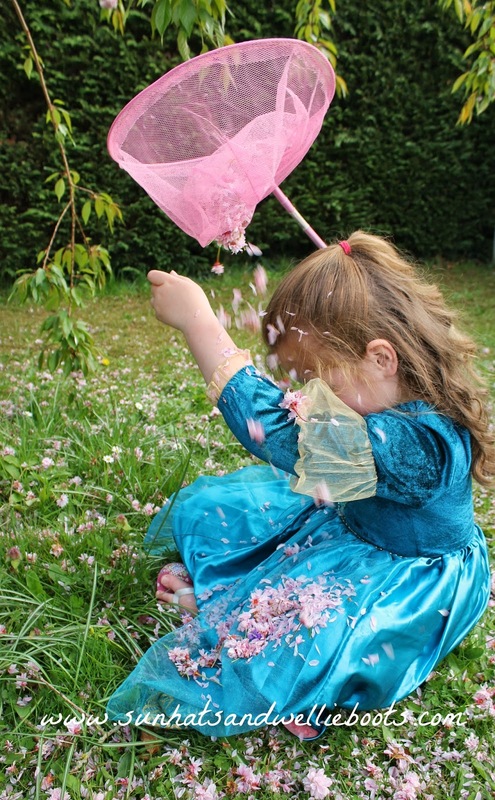 Why not twirl around in the petals as they fall, or catch them in your hands or on your head! 3) Go fishing for flowers! How many petals can you catch in a fishing net? You could estimate & then see if you're right! 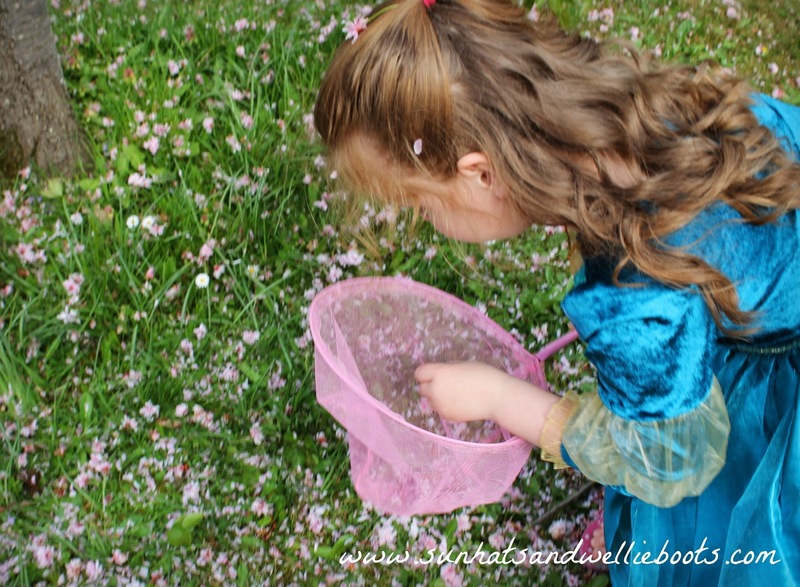 4) Collect the petals & make your own blossom perfume or magic potion. All you need is a small bottle, some petals, & a little water. 5) Make a blossom picture or collage. Arrange the flowers on paper or card & attach them with glue to keep your design a little longer. 6) Imagine you're a blossom tree on a windy day with all the petals swirling around you. How do you feel? 7) Capture the beauty of Spring! 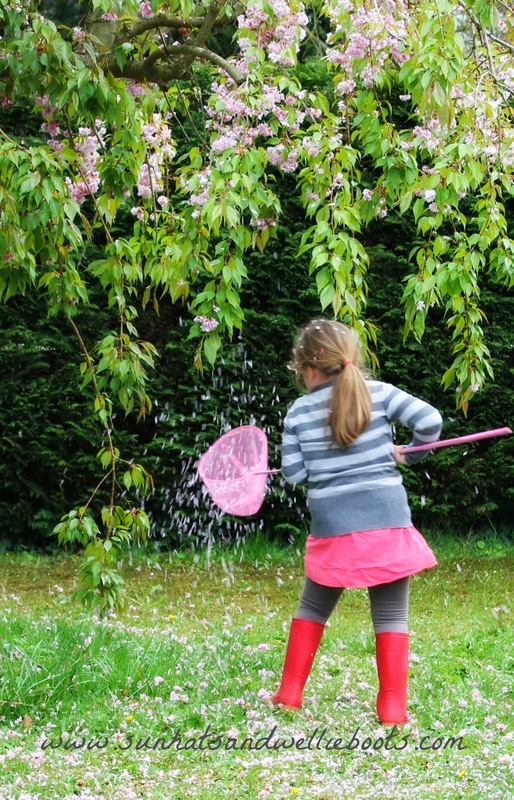 Encourage your children to take a photo of the blossom around them. They may choose the tree, a carpet of blossom on the ground, or maybe the blossom on their heads/feet. 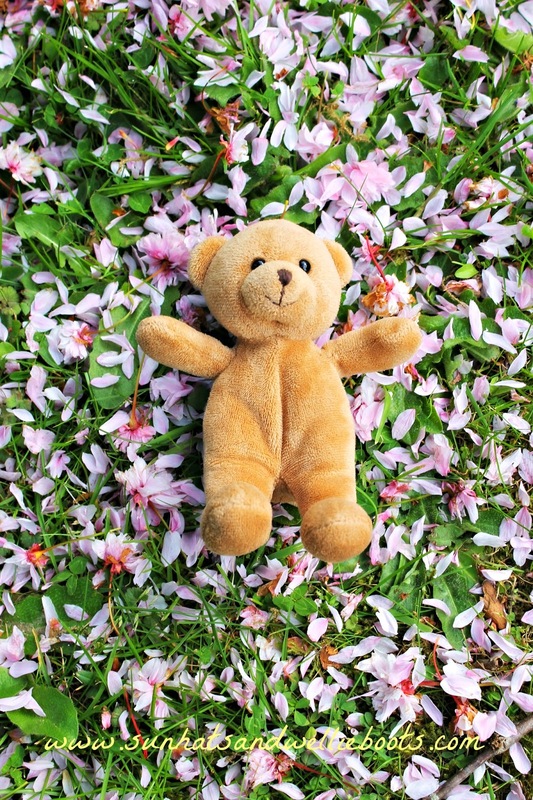 Here's Minnie's favourite image of her bear on a bed of blossom! If you're out & about this week why not go & explore a beautiful Spring tree near you. I wonder what you'll find.